Chris Coleman is set to leave his position as the national manager of Wales and take charge at lowly Championship side Sunderland after deciding on a return to club management. The Welshman's contract is due to expire next summer but following Wales's failure to qualify for Russia 2018, the decision has been made to step down following five years with the national side. Gareth Bale and skipper Ashley Williams have been trying to convince Coleman to consider seeing out his contract with Wales following last month's World Cup qualifier defeat by Ireland, but the 47-year-old is set on returning to club life. 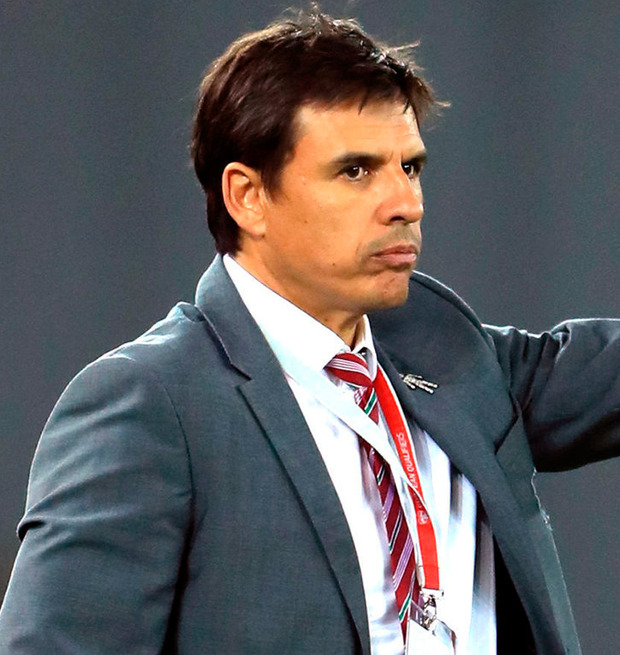 Coleman held talks with the Football Association of Wales about staying in the job but has been swayed by Sunderland's approach. The 47-year-old admitted this month: "If I don't stay on I'll join a long list of managers looking for work. "There's a handful of managers who can choose their jobs and I'm not one of them. "I know how tough the industry is and how much you need to value it when you are in employment because you never know when you're going to be out of it." "There's only two scenarios - I'm either going to be here or I'm not." Coleman took Wales to the semi-finals of Euro 2016 in what proved to be an historic tournament for the nation, but after missing out on Russia 2018 the former defender has elected to embark on a new journey. In landing Coleman Sunderland have finally filled their managerial vacancy after initially struggling to replace former boss Simon Grayson. Northern Ireland manager Michael O'Neill and Paul Heckinbottom of Barnsley were both considered in the search to find a successor to Grayson, who lasted a matter of months following David Moyes' departure in the summer. Heckinbottom ruled himself out of the running on Thursday after discovering that Coleman was in line for the job. The Wearside club remain in relegation trouble in the Championship and are up for sale as American owner Ellis Short looks to cut ties. Irish Football Association (IFA) board members gathered for a scheduled meeting yesterday afternoon but a long-standing agreement with O'Neill means permission was a formality. The Scottish Football Association (SFA) approached their counterpart in Belfast on Wednesday after identifying O'Neill as the man they want to succeed Gordon Strachan as Scotland manager. However, the IFA are hopeful of retaining O'Neill's services and have prepared a counter-offer in a bid to fend off interest from across the water. The SFA would be liable for compensation if they persuade O'Neill to swap jobs but, under the terms of the 48-year-old's contract, the body would not have to fork out as much as the likes of a Premier League club in England. O'Neill signed his current deal in March 2016, before leading his men to the knock-out stages of the European Championship in France.